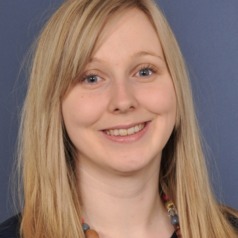 Louise is a PhD candidate at the Administrative Data Research Centre for England based at University College London. She has a BSc in Microbiology (2008) and a PGDE in Maths and Science Education (2009) from University College Cork. After a period of teaching Science and Biology at secondary schools in London, Louise completed her Master of Public Health degree (2012) at Imperial College London. She remained at Imperial for a further two years as a research assistant and was involved in a project that explored the experiences of cancer patients using qualitative and quantitative methods. In 2014, Louise began her PhD at UCL. Her project aims to describe the care experiences of looked after children in England using administrative data. This work will focus particularly on how the provision of care has changed over time and varies geographically. The effect of key characteristics of care on children's educational outcomes will also be explored in this project with the aim of identifying trajectories of care that are associated with good educational outcomes. This work will be useful for informing social care policy and practice in England.